November 10th has proven to be a very important date for Pixar fans this year. Up on Blu-ray/DVD: This is easily the most anticipated release from Pixar this year, and all for good reason, check out my review to see why. Directed by Pete Docter, Up will be available in three variations, 4-Disc Blu-ray, 2-Disc DVD and 1-Disc DVD. The best value has got to be the 4-Disc Blu-ray Combo Pack which includes exclusive content you can’t find anywhere else. When buying this new release check for any promotions the store is having and look at all the flyers inside for Disney Movie Rewards and more exciting Up offers. Note that all releases include the standard DVD with Dug’s Special Mission, Partly Cloudy, commentary and minimal featurettes. This release is not to be missed by fans! Monsters, Inc. on Blu-ray: Both of Pete Docter’s films will be in the spotlight today as they are newly released on home video. The digital files of Pixar’s 2001 classic, Monsters, Inc., are uncompressed for maximum viewing pleasure. Included in the discs are the Filmmaker’s Roundtable (filmed at Hidden City Cafe), a brand new game, and a look into Japan’s MI ride. Also included in this 4-Disc set is a digital copy and the original DVD release of the film. If you haven’t already, give my review a looksie. Luxo Jr. Premium Pack: If you want to own a piece of the big Disney/Luxo conflict, you’re in luck. It seems as though the Disney Store is still carrying this controversial set. Included in the package is a replica Luxo Jr. (not made by Luxo ASA) and the Up 4-Disc Blu-ray. The Luxo Jr. Premium Pack will only be available for a limited time so order as soon as possible. It may be your only chance to have a physical Luxo Jr. to match Pixar’s famous intro. Cars Blu-ray Ultimate Gift Pack: For the biggest Cars fans out there! This brand new set includes the previously released Cars Blu-ray now packaged with a DVD and two exclusive die-cast cars. It’s the perfect holiday gift for your resident Cars fanatic since it’s packaged with many aspects of The World of Cars franchise. The Pixar Treasures: Tim Hauser’s (The Art of WALL•E) latest book, The Pixar Treasures, compiles tons of goodies from the world of Pixar. Notable examples include sketches from Pixarians, wrap party invitations and rare photographs. This 64-page coffee table book showcases the history and legacy of Pixar in a new and fresh way! Happy shopping! Please tell us what you bought and how you liked it below. A few months back we were all surprised by Luxo AS’s lawsuit over Disney/Pixar’s new uses of it’s iconic mascot, and more importantly, what would come of this court case. According to The Hollywood Reporter’s Esq., both companies came to an "amicable settlement" over the conflict. It almost plays out like a custody case determining who has rights to Jr. The mess all started when Disney decided to manufacture and sell Luxo Jr. lamps packaged with the Up Blu-ray. Understandably, the lamp manufacturing giant didn’t take a liking to this move citing that such products would shed their company’s promise of quality in bad light, no pun intended. With this settlement’s wording, it is not clear if we’ll still see a consumer version of Pixar’s mascot even though a pre-order is still available at Disney Store. On the other hand, we can be sure that Luxo Jr. will still hop into Pixar’s logo before every film. Luxo has agreed that they have no problem with "artistic depictions" of their lamps just like they said back in 1986. No one has to worry that John Lasseter’s inspired caricature may have to suffer a horribly hilarious fate as depicted by College Humor!! I’m glad both Disney and Luxo AS could come to such an agreement, shows they’re not in it to cheat each other out of their money. 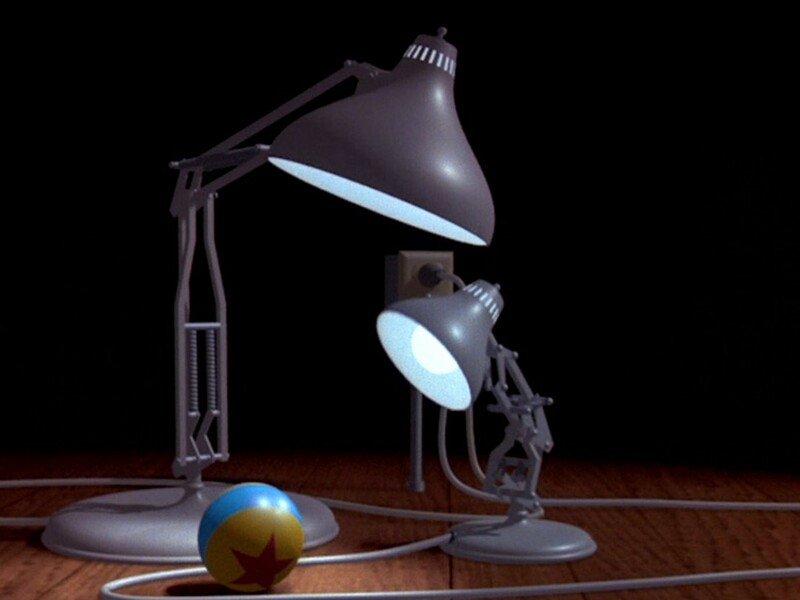 As most Pixar fans know, John Lasseter was inspired by his own Luxo brand lamp for Pixar’s first short film, Luxo Jr. The Norwegian lamp manufacturer, Luxo ASA, which settled with Pixar over the name "Luxo Jr." more than 20 years ago, is filing a new complaint in New York federal court over the name’s use in limited edition products by Disney. What do they mean by that? According to the Oslo-based company, Disney/Pixar hasn’t merchandised products using "Luxo Jr." explicitly until now. Apparently this breaches past agreements and would "cause devastating damage to Luxo and dilute the goodwill which Luxo has built up." Luxo ASA is citing the Luxo Jr. Premium Combo Pack and the animatronic Luxo Jr. at Disney’s Hollywood Studios as infringing on their trademark. A spokesperson for Disney said he/she hadn’t been informed and wouldn’t comment until he/she read through the complaint. If you’ve read The Pixar Touch, you’ll know that the studio has been slammed with countless lawsuits and typically wins the cases. I wonder how this one will go. Hopefully Disney/Pixar can hop away unscathed. Blu-Ray, Luxo, Jr., Monsters, Inc. Important questions have now been answered for both the Monsters, Inc. Blu-ray and the Luxo Jr. Premium Combo Pack (AKA Pixar Luxo Lamp Collection), both highly anticipated releases, both in stores November 10th! Let’s start off with the mega-delayed Monsters, Inc. Blu-ray which was originally slated for last May with A Bug’s Life. The set has been increased from a 2-Disc set to a 3-Disc. To refresh your memory, it was previously announced that Monsters will contain a brand new game called Roz’s 100-Door Challenge, a Roundtable Discussion featuring Pete Docter, Lee Unkrich and Darla K. Anderson and a new featurette: Monster’s Inc Ride and Go Seek: Building Monstropolis in Tokyo! Also included are all of the bonus material from the original DVD release. Moving on we have the Luxo Jr. Premium Combo Pack featuring, you guessed it… an actual replica of Luxo Jr.! Previously only available for pre-order in the UK as the Pixar Luxo Lamp Collection, this limited edition item will be available on November 10th in the US. To differ, it’ll be packaged with Up on Blu-ray instead of the whole Pixar Blu-ray collection. Luxo Jr. himself is an actual working lamp and has a storing area at the base for Blu-rays. It comes at a steep price of $199 but I’m sure it’s worth it. You can pre-order Monsters, Inc. on 3-Disc Blu-ray from Amazon now. US pre-orders for the Luxo Jr. Premium Combo Pack coming soon. Don’t forget about the recently announced details for the Up Blu-ray/DVD release, learn more about that here. Bite sized pieces of Pixar news for your enjoyment. Sharing is recommended but optional. Pixar Luxo Lamp Collection Revealed: An image of the Pixar Luxo Lamp Collection has just been added to HMV’s site. You’ll notice it’s an actual replica of Luxo Jr. himself with a few Blu-rays besides! I recognize Cars, Ratatouille, WALL•E, A Bug’s Life and Monsters, Inc. possibly packaged in there. This is a really cool idea for a release but for now it seems to be available in the UK only starting November 2nd. More details, like an international release, expected soon. Lee Unkrich & Tim Allen/Countdown to TS3: To the right is a picture I thought was cool and wanted to pass along. Lee Unkrich was tweeting today and presented two photos of him in the recording booth with Buzz Lightyear himself! Another great pic I’d like to pass along features the countdown clock to Toy Story 3 outside of Angus MacLane’s office. John Lasseter Keeps on Answering Questions: You may remember the busy bee that is Pixar and Disney Animation Studios’ Chief Creative Officer took the time out to answer some fan’s select questions. John Lasseter and Disney•Pixar have released another video response, this time to the question "What’s your favorite Jungle Cruise joke?" Expect more pressing matters to be addressed soon! Enjoy and look out for more news tidbits soon!! UK sites have been setting up pre-orders for a "Pixar Luxo Lamp Collection" which seems to be some sort of Blu-ray compilation. Is it a pack of movies in some special Luxo themed packaging? Maybe it’s and updated shorts collection. Your guess is as good as mine. What do you think the Pixar Luxo Lamp Collection is? Luxo Jr. Hops Into DHS! 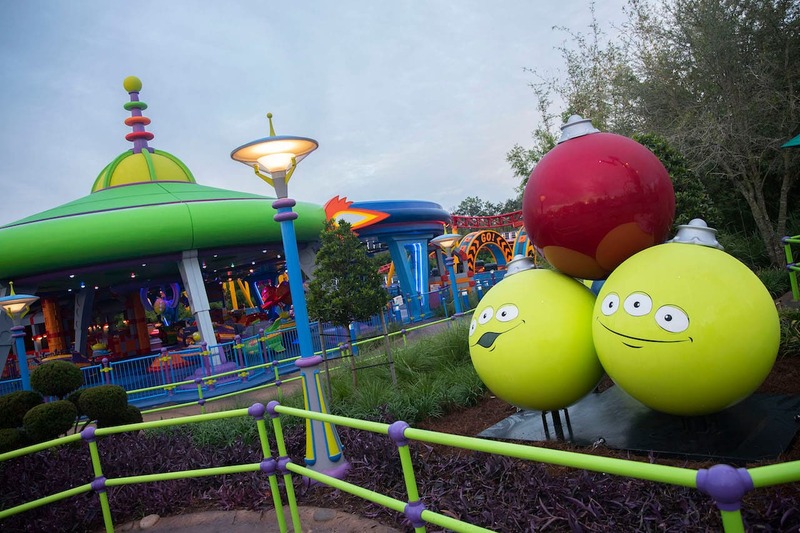 Pixar’s mascot made his permanent home at Disney’s Hollywood Studios in Florida very recently. Multiple sources are reporting that Luxo Jr. has premiered today in the Lighting area of Pixar Place just down the "road" from Toy Story Midway Mania! The animatronic lamp rotates between two shows beginning with him popping out of discrete looking swinging doors. The first show is during the day where Jr. hops and dances to different tunes including You’ve Got a Friend in Me. 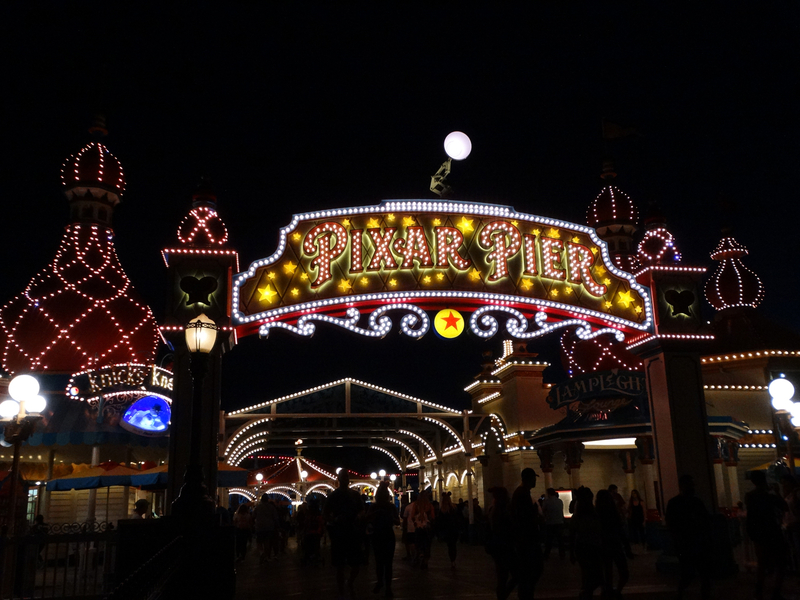 The other is at night in which Luxo Jr. lights up Pixar Place! 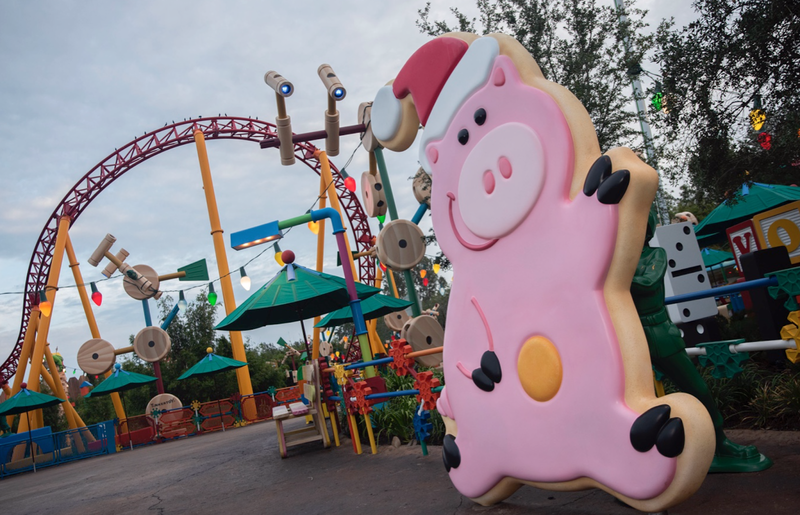 Are any of you visiting Disney Hollywood Studios soon? If so, will you be watching for the famous little lamp?